If you own a website, you may spend quite a lot of hours stressing about how to get traffic to your site. You try to follow all of Google’s rules and just when you think you have figured out what they really want, they change the rules and your site gets penalized. Unsurprisingly, finding a way to get traffic to your website without relying on Google is like finding the Holy Grail. However, the reality is that it is possible to work around Google, so long as you know what you are doing. There are a couple of highly innovative marketing tips for you to follow that will really make a difference to you. Even if you don’t rank in Google at all, you will still find traffic comes to you site. Imagine being able to no longer care about SEO services! 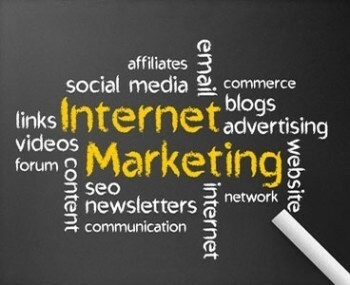 All you really need to do is keep track of internet marketers that focus specifically on this and follow their tips. These change almost as regularly as the Google rules, but at least they will allow you to get started. Let’s take a look at a few of the ways that work right now, and are likely to continue to work. Forum posting is hugely effective and will drive a great range of traffic to your site. Besides getting traffic, you may also be able to actually find hot leads or even actual customers. You do, however, have to make sure you find forums that are actually specific to your niche in order to make sure you actually get the traffic. This is because the forum will immediately be a customer database for you, being a huge community of prospective customers right there at your fingertips. Although it is hard work, it is a fantastic way to circumvent SEO, which has to count for something. Next, search for popular blogs that link closely to your niche and comment on the posts they have. More often than not, you will be able to put a link to your own website on the blog comment, which will really increase your popularity. Your website will become a true authority website by doing this. However, you do have to be very careful about which blogs you post on. You should make sure that the posts on the blogs are relevant to your niche, naturally, but also that they are current. You also have to make sure that you don’t comment too much, as this would make you look as a potential spammer. Hence, don’t comment on every single blog, but rather only on those posts that are really relevant to you and your own website. Social media is hugely important in terms of driving traffic to your side. You can really become very popular by using social media. Besides the fact that it is a great way to drive traffic to your website, it’s also a super opportunity to build brand awareness and to make sure that your name becomes a household name across the world. YouTube is owned by Google, so it does defeat the object a little bit. However, people who come to YouTube are very specific about what they are looking for, being videos. As such, you should actually see it as separate from Google itself. Creating videos to post on YouTube has to be done properly, however. It has to be unique and interesting and you have to make sure it appropriately promotes your product, service or website. Do make sure you use the right keywords when it comes to your YouTube video because it’s still Google, after all! Now there are many other ways to get traffic and leads to your website and this is something you must do. As Sage Lewis from www.clickz.com pointed out back in May of 2012, you must diversify your marketing tactics to avoid getting hurt using only one main source for your traffic. If you are getting over 60 percent of your traffic from Google organic traffic you are probably overexposed to the whims of Google. The natural search landscape is constantly changing. Your competitors are gunning for your positions. Google is always on the lookout for a site that is better than yours that should have your spot in its index. Diversification is more important than ever today as Google has change its algorithms many times since 2012, and many has felt the hurt. Ranking high on Google isn’t the be all and end all of having an online business. However, it’s also important to recognize that it is incredibly important. Hence, what you should do is make sure you have a focus on both. Try not to get into the nitty gritty of Google and its rules (or hire an SEO professional if this is going to be your only focus), but just know the most important ones. Make sure your content is appropriate in line with this, but also focus very strongly on the things you can do outside of Google. They do say you shouldn’t put all your eggs in one basket, and that is true as well for website building and marketing strategy. As such, diversification is always going to be the best solution that is guaranteed to see the best results.